Interpretive signs enrich the experiences of all park visitors. Now that the new trail from the Interpretive Center and nearby parking lot to the nature preserve has been completed, park staff members are concentrating on creating new interpretive signs and replacing worn or outdated interpretive and warning signs. CSPA has budgeted funds to cover the cost of purchasing new signs. CSPA is purchasing a new “iron ranger” that will soon be installed at the entrance/exit to the nature preserve. Actually made of galvanized steel and shaped like a square, waist-high post, an iron ranger is simply a locked container for receiving cash—in this case, donations that will support the training of volunteer docents and other interpretive programs. 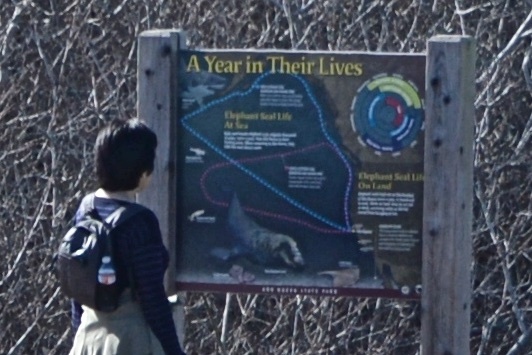 CSPA established a fund, seeded by a generous gift from an anonymous donor, to buy materials to replace a dilapidated boardwalk near the interpretive panel in the nature preserve that explains the elephant seal’s life cycle. The old, uneven boardwalk sometimes flooded because it rested directly on drainage ground that became a temporary marsh in the rainy season. The new, 265-ft-long boardwalk is elevated and complies with ADA standards. 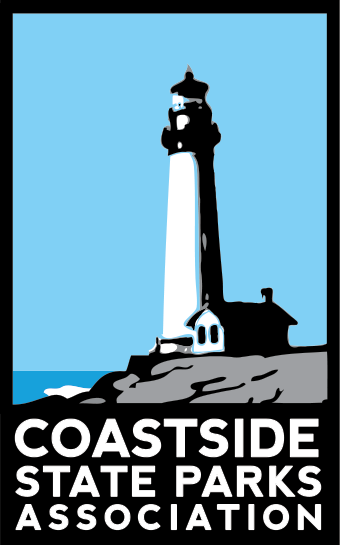 Park interpreters and docents routinely set up portable viewing scopes for visitors to observe the seals and birds on Bight Beach and Año Nuevo Island. The portable scopes were purchased by CSPA some years ago, and some were in need of replacement. A permanent installation of weather-proof telescopes was proposed by park staff and readily funded by CSPA. The mounting stand accommodates both standing adults and young children as well as people in wheelchairs. A CSPA donor funded an extension of the equal access boardwalk at Bight Beach and construction of a new bench. 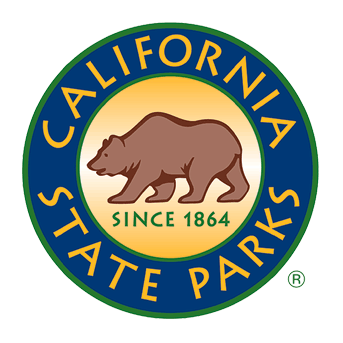 This project is an excellent example of what can be accomplished by the enthusiastic cooperation of State Parks staff, CSPA and its donors, and volunteer builders. Patricia Lessard’s gift to CSPA paid for the materials, while volunteer Jim Mazzone designed and constructed the deck extension and bench. Volunteer Jim Mazzone also donated his time to repair the footings of an observation deck at Franklin Point. CSPA paid for the materials. Erosion of the sand beneath the original platform had left it slanted and structurally weakened. 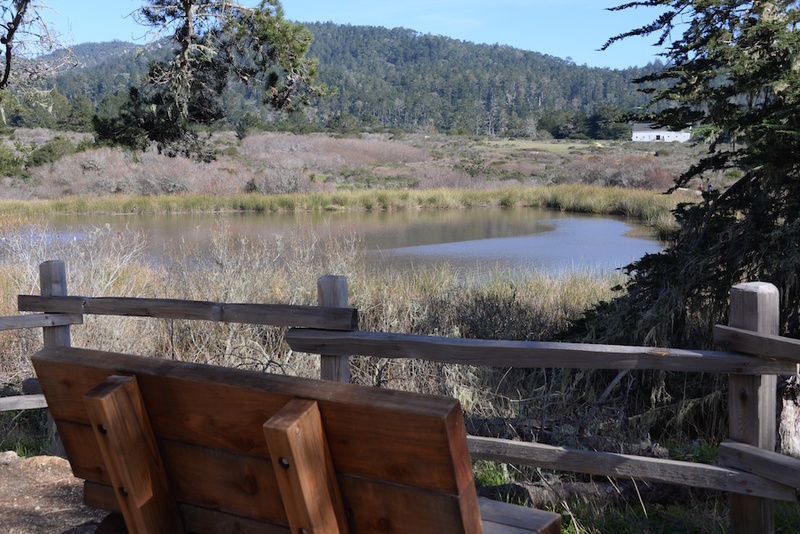 CSPA has funded substantial improvements at Año Nuevo SP over many years. Some examples are: (1) fully funding the Equal Access Van for transporting visitors who are unable to walk to the nature preserve, (2) contributing to the Equal Access Boardwalk at Bight Beach (pictured), (3) contributing to the Interpretive Center in the old barn, and (4) funding the walkway of pavers outside the barn that covers and protects a site of archaeological importance (a solid surface of concrete or blacktop is not permitted by law).